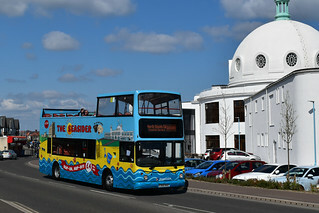 Stagecoach North East open-top Dennis Trident/Alexander ALX400 17240 X368NNO is pictured here on the Promenade in Whitley Bay, passing the Spanish City, while operating it's branded Coastal Service towards North Shields Ferry Terminal. 17240 was new to Stagecoach East London as their TAS240. and is joined on the route with 17239, 17643 and 17645. 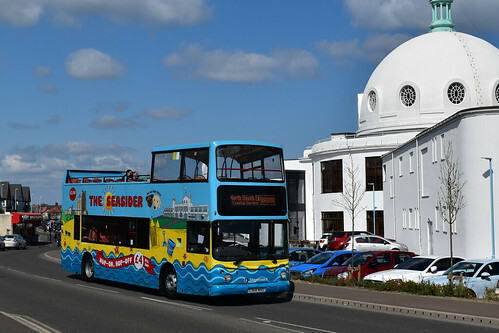 All are in Seasider livery with the exception of 17643, which is still a Seasider spare, but is painted white for future advertising vinyls and for private hires.